Fire-on-the-Mountain Cloggers have truly been blessed to be able to perform at many unique venues. 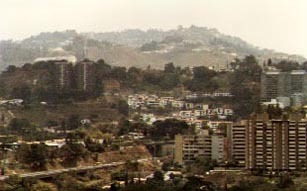 In 1986, the team performed thirteen shows during an eight-day tour of Venezuela. It was our first international tour, arranged by the American school in Caracas whose headmaster wanted to give his students a taste of their own native culture. 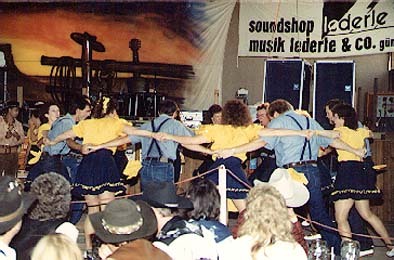 We taught the students to clog during the day, and did public performances at night. 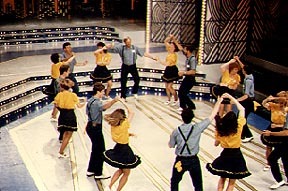 While we were in Caracas, Fire-on-the-Mountain Cloggers were filmed for a television show called "El Sabado Sensacional." 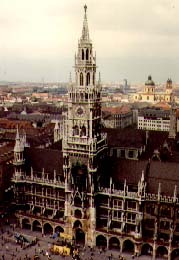 The team’s next international trip was to Germany in 1989. We performed in Munich and throughout the western and southern regions, and enjoyed a fantastic response at the Koetz Country Music and Bluegrass Festival in Guenzburg. Bluegrass music bounced off the walls of the giant clapboard building located in the middle of acres of knee-high green wheat fields. The six foot tall stage ran the length of the hall which itself was about the size of a football field. Wooden planks formed the flooring. Hundreds of tables were placed end to end with what seemed like every German in Guenzburg squeezed in behind those tables, smiling and waving a huge mug around. Yes, it was a very fine audience.